80 years ago members of the Cheverly American Legion Post 108 constructed the stone building that towers over Cheverly Avenue at the north entrance to Cheverly. Constructed from many locally sourced materials, such as a corner stone from the White House and paneling from the US Supreme Court. A message from the Legion: In 2015, with acknowledgement of and pride in 80 years of community and accomplishments in serving veterans, we tip our hat to our founders and follow in their footsteps. 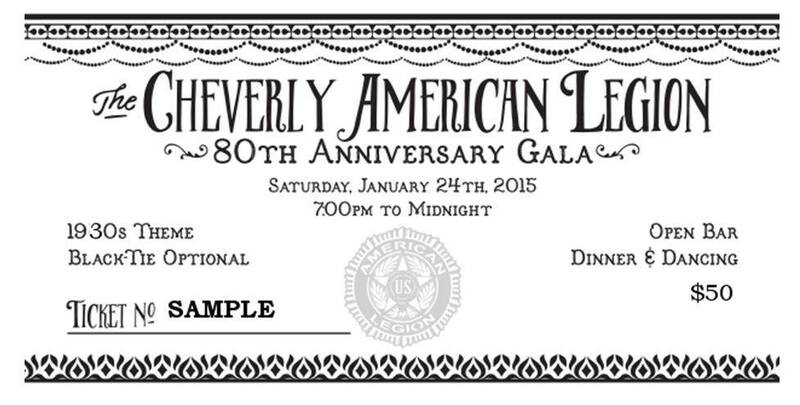 We will commemorate our rich history on January 24, 2015 at the 80th Anniversary Gala – a 1930s themed event. We hope you will join us for this catered dinner and dance (black tie optional). The Cheverly American Legion also serves as cornerstone of our community by leading memorial tributes on holidays, sponsoring the Cub and Boy Scouts, hosting and participating in numerous community events, and in many, many other ways. 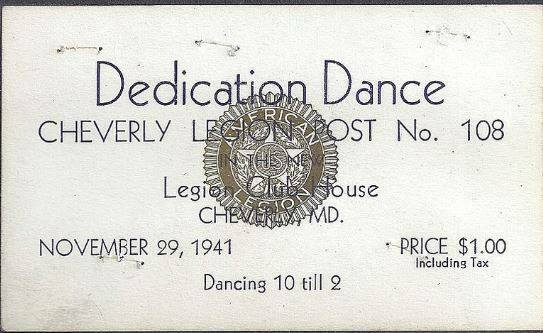 And so, as our founders did in 1935, we are asking you, our friends and neighbors, to demonstrate your support for the Cheverly American Legion and its mission through a contribution to our 80th Anniversary Campaign. We are looking forward to your support during this campaign, which is critical to ensuring the continued existence and rejuvenation of our Cheverly American Legion. Please give generously whether you can join us for the celebration or you just want to show your support. Check out the Facebook page here or look at the Legion’s website here. Previous Post Cheverly Schools: I Need Your Help! Next Post Here’s To Our Health!